I haven't seen these on the forum in a while and I am not sure who was originally selling them, but I am harvesting my first fruit today and will have seeds available from now until early spring. 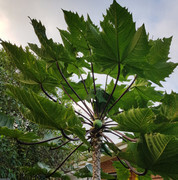 I have this tree isolated away from the other papaya I have growing, but unfortunately these are not the ones with the purple petioles. 10 seeds for $15 shipped within CONUS. I would also be interested in making a trade for anything I don't have. 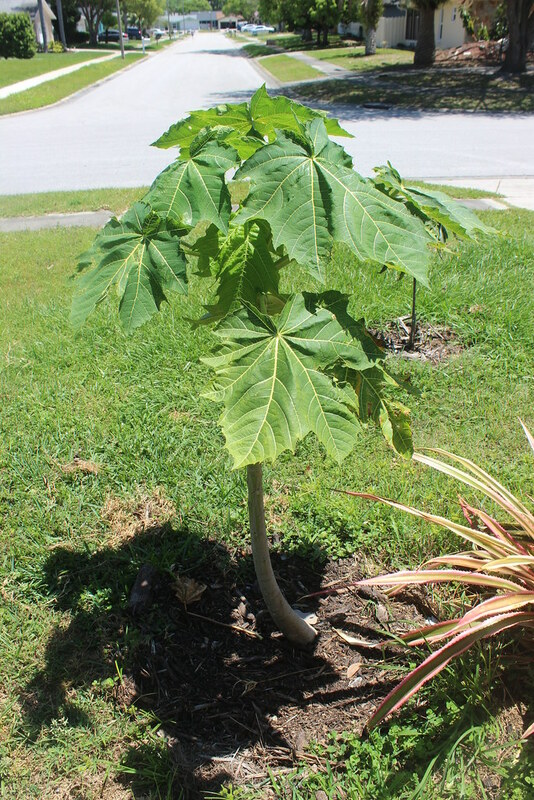 Hi, could you show your Broadleaf Papaya picture? my camera was dead this morning, so i uploaded an older picture. i'll update it later. is this the same cold tolerance as normal papaya ? unless it has a better cold tolerance ? I doubt it. I can confirm that the fruit is not as sweet as other types... I grow it more for the uniqueness. People in the neighborhood always stop to look at it. Maybe it can be crossed with a sweeter variety and maintain the same leaf structure. 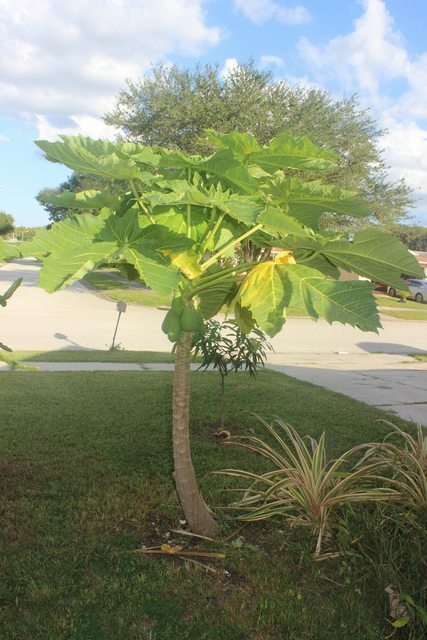 I have one in my backyard that isn't isolated, so maybe I'll plant some and see what I get. I will have more seeds soon if anyone is interested. They are as sweet as the best reds like solo if bisex trees are grown in very warm climates. Females and those grown in cooler climates have less 'sweetness' and flavour. The purer ones have deep maroon to almost black leaf stalks.